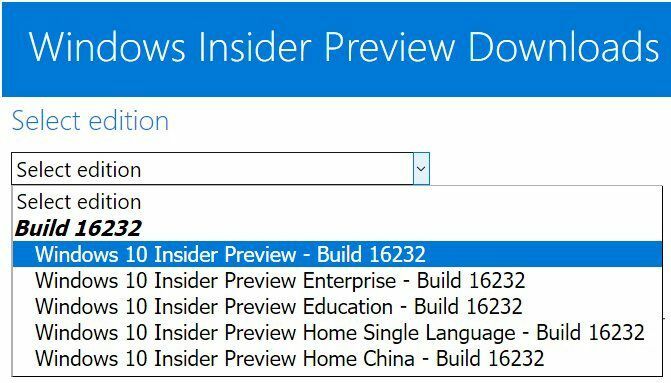 Official Windows 10 Build 16232 ISO download links are now available for Insiders. Recently, Microsoft released Windows 10 build 16232 for Fast Ring and Slow Ring Insiders which bring new features, bug fixes, and other improvements. The company also recently released Windows 10 Cumulative update KB4025342 build 15063.483 for Creators Update systems, update KB4025339 build 14393.1480 (Anniversary Update) and update KB4025344 build 10586.1007 (Threshold 2). The company will release new updates tomorrow. You can resolve issues related the latest updates from here. Also, you can download the updates directly from here.